Nervous about bear markets, crashes, and corrections? Equities offer outstanding returns in the long term, but their volatility can be terrifying in the short term, especially for new investors. Fortunately, investors have plenty of options to reduce risk in their stock investing and sleep easy at night. But for all the benefits that stocks and equity funds offer investors, they’re not appropriate for everyone all the time. 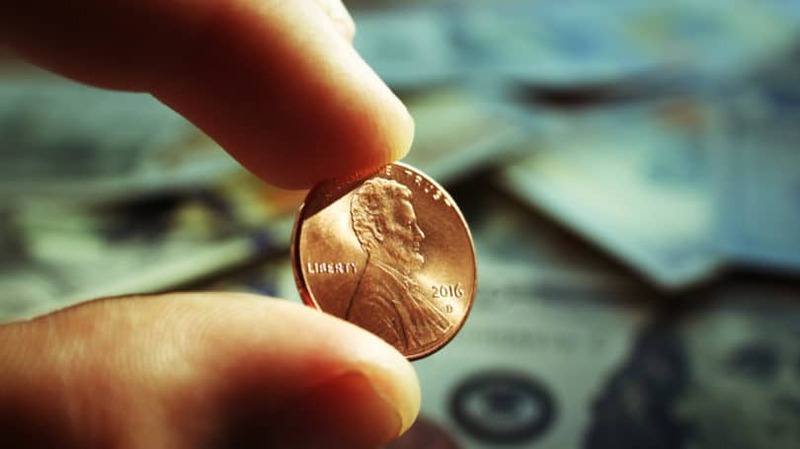 Here’s what you should do before investing a penny in the stock market, and 12 strategies to reduce risk once you start investing. The S&P 500 has returned over 10% per year on average over the last 32 years, as exchange holding company, Cboe reminds us. While that’s a healthy return, it’s also significantly lower than the average credit card interest rate — around 17% — according to CNBC. For the average consumer, that makes paying off credit card debt an indisputable priority over investing in the stock market. Other high-interest personal debt, such as unsecured personal loans, also usually make sense to pay off before investing money in the stock market. There’s no magic interest rate above which you should prioritize paying off a debt, rather than keep it. But for my own money, I pay off any debt charging interest over 6% before investing elsewhere. Likewise, most personal finance experts agree that everyone — regardless of age or income — should have an emergency fund. How much that emergency fund should hold is a subject for greater debate; financial experts recommend anywhere from one month’s worth of expenses up to one year or more. People with less consistent incomes, or less job security, should put more aside in their emergency fund. How much you put aside in an emergency fund is a personal decision based on how conservative you want to be. But before investing anything in the stock market, put aside at least one month’s household expenses in a cash emergency fund. If you need to set up an emergency fund, consider a high yield savings account from CIT Bank. They offer one of the highest APY’s available from an online savings account. Once you’ve paid off your credit card debt along with any other high-interest personal debt, and set aside an emergency fund, it’s time to start investing. 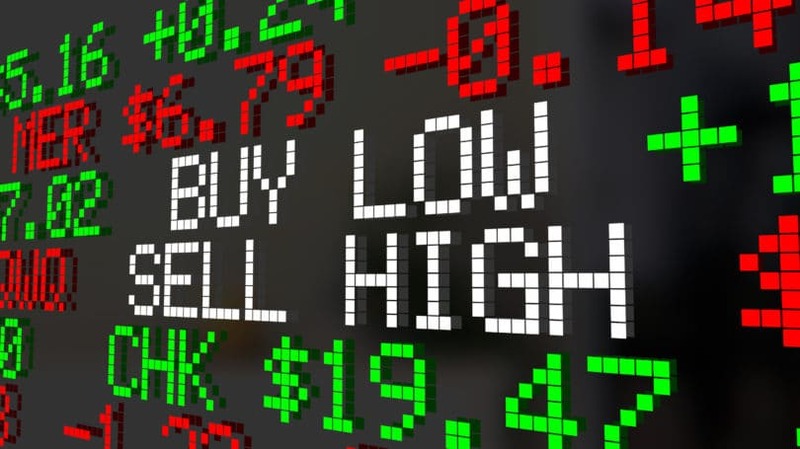 And while there are countless investment options available to you, from real estate to bonds to crowdfunding websites, stocks are an easy starting place offering high average returns. Try these 12 techniques for reducing risk without settling for low-return investments, to enjoy the many benefits that stocks offer investors. Many new stock investors’ eyes glaze over when they hear terms like “dollar-cost averaging.” However, the concept is extremely simple, so glaze not. Dollar-cost averaging simply means investing the same amount of money every month, or quarter, or some other regular interval, rather than investing a large lump sum all at once. Say, for example, that you inherit $50,000. You could invest it all immediately in a mutual fund, or you could gradually invest it in that mutual fund over time. By investing it periodically in drips, you reduce the risk of investing with terrible timing, just before a market correction. On the other hand, instead of investing all $50,000 at once, you could invest $1,000 per month for the next 50 months. Or $2,000 per month for the next 25 months, or whatever division you like. The important point is that you spread the investment over time. After five months of dollar-cost averaging, you would have invested $5,000 and would own 172.9 shares, for an average cost per share of $29. Aside from the primary advantage of spreading risk over time, there are a few other pros and cons that investors should understand about dollar-cost averaging. One advantage is that investments can — and should — be automated. Once you know what stock or fund you want to buy and how much you want to invest every month, you can set up automated recurring purchases to take place on the same day every month. It happens in the background, with no work or thought required on your part. You can even combine automated savings with automated investing using these financial automation apps. Betterment is one of our favorites because you can auto-deposit money from your checking account to your investment account. The best part is that Betterment doesn’t charge for each trade or transfer. Another advantage is that you don’t need to worry about trying to time the market. Professional investment advisors often fail to accurately predict market swings, which speaks to your own odds of correctly timing the market. There is one downside worth mentioning. 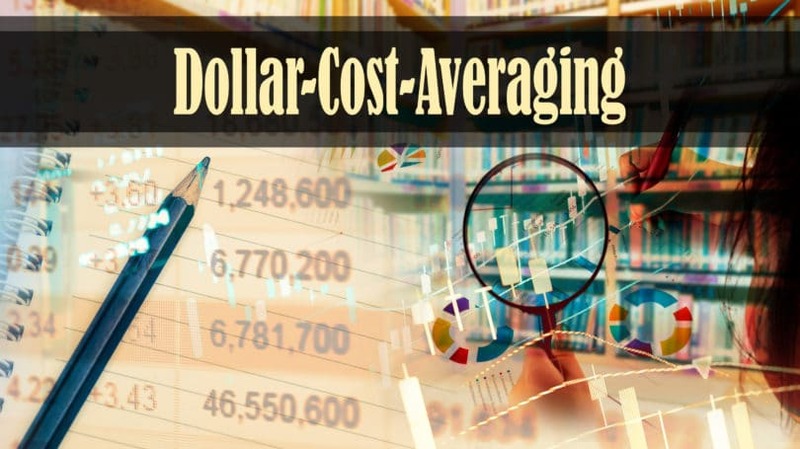 For financial hobbyists who follow equity markets religiously, dollar-cost averaging won’t help them beat the long-term average, as by definition it aims for that very same average cost per share. So, while dollar-cost averaging will help you avoid below-average returns, it also precludes above-average returns. Actively managed funds are expensive. Because these funds are actively managed by a fund manager trying to beat the average market returns, they charge higher fees to investors. These fees eat into investors’ returns. Partially due to these higher fees, and partially due to human error, actively managed funds tend to underperform the broader market rather than beat it. In one study reported by U.S. News and World Report, 95% of actively managed mid-cap funds underperformed the mid-cap stock indexes. The numbers were little better for small- and large-cap funds (more on market capitalization shortly). By contrast, a passively-managed index fund simply mimics a stock index, such as the S&P 500 or the Russell 2000. Plus, no labor from overpaid fund managers is required. Thus, these index funds charge far lower expense ratios, often one-tenth or one-twelfth of the cost charged by actively managed funds. That leaves more of your money invested, to compound over time. Diversification — spreading your proverbial eggs across multiple baskets rather than one — is a common approach to reducing risk. And diversifying across market caps is one of several forms of diversification. 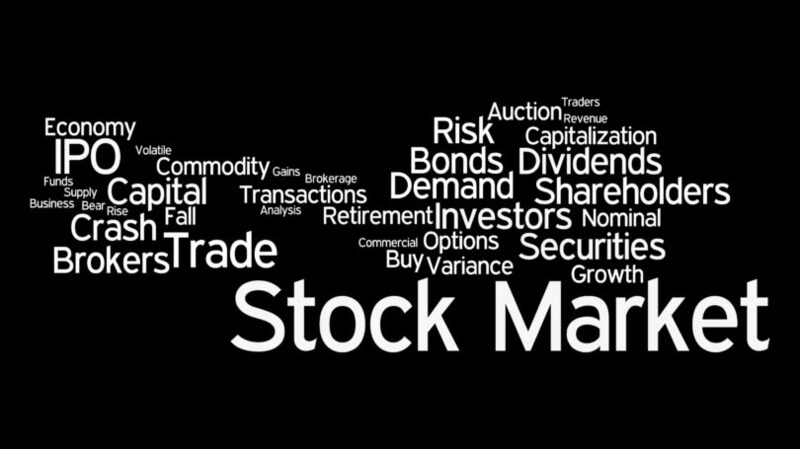 Market capitalization refers to the total value of all publicly traded shares for a given company. To use simple numbers, if a company has 100,000 shares outstanding, and their share price is $5, then their market capitalization (market cap) is $500,000. This is one way of referring to the size of a company, instead of by the number of employees. 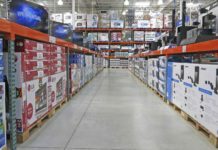 After all, companies with few employees can still earn millions of dollars each year and be worth a great deal of money, while companies with many employees can earn little or no profits. But in general, large-cap companies tend to be large corporations, and small-cap companies tend to be far smaller in both profits and employees. Large-cap companies also tend to have more stable stock prices, with both slower growth and less risk of a pricing collapse. Smaller companies have more room to grow and can rise in value quickly. But they can also fall just as quickly. By spreading your money across small-, mid-, and large-cap index funds, you can balance both the potential growth of small-cap companies with the stability of large-cap companies. For example, the S&P 500 is an index representing 500 of the largest companies in the U.S., while the Russell 2000 represents 2000 smaller-cap U.S. companies. 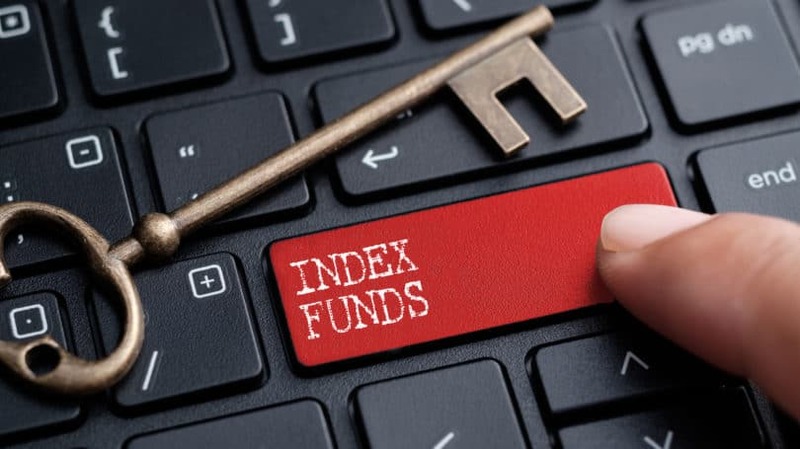 You can invest in index funds that mimic these indexes (such as SWPPX, mentioned above), or any other index around the world, to target a specific market cap and region. Just as investors can spread risk across different market caps, they can also spread it across different geographic regions and countries. U.S. and European markets, as advanced economies, tend not to grow as quickly as emerging markets. Emerging markets such as Brazil or Vietnam have room for fast growth, as their economies strive to catch up with the likes of Japan and the U.S. However, they can also collapse quickly, due to political instability or economic crises. As with market caps, you can balance risk and growth by spreading money across funds operating in multiple regions. I personally aim for 50% U.S. funds and 50% international funds, but there is no magic rule for success. In general, the less developed the economies in the regions where you invest, the greater potential there is for growth, and the greater the risk of fast losses. Just as some regions offer faster potential growth or losses, some sectors tend toward higher risk and potential returns than others. 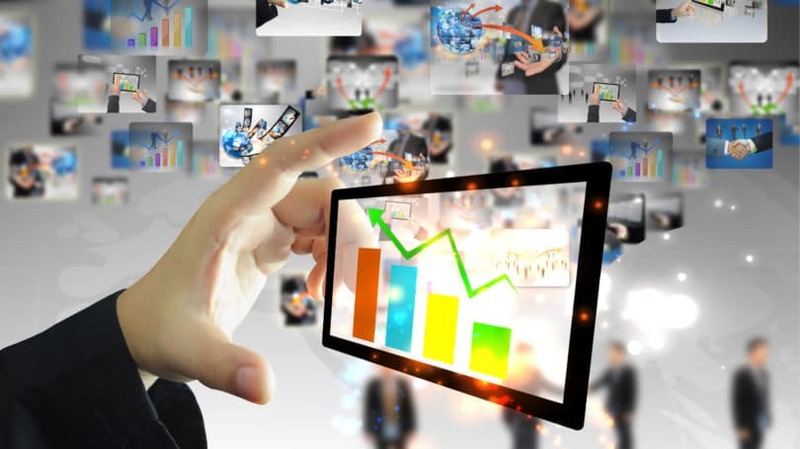 For example, the technology sector often sees spectacular growth. It has also seen abysmal crashes; look no further than the 78% collapse of the tech-heavy Nasdaq index from 2000 to 2002. Other sectors, in contrast, prove far more stable. Consider utility stocks, as a classic example of a “defensive” stock sector: a place of refuge when other sectors start looking volatile and risky. After all, everyone still needs electricity regardless of what’s going on in the economy. Another way to diversify your equities is to buy real estate investment trusts known as REITs. 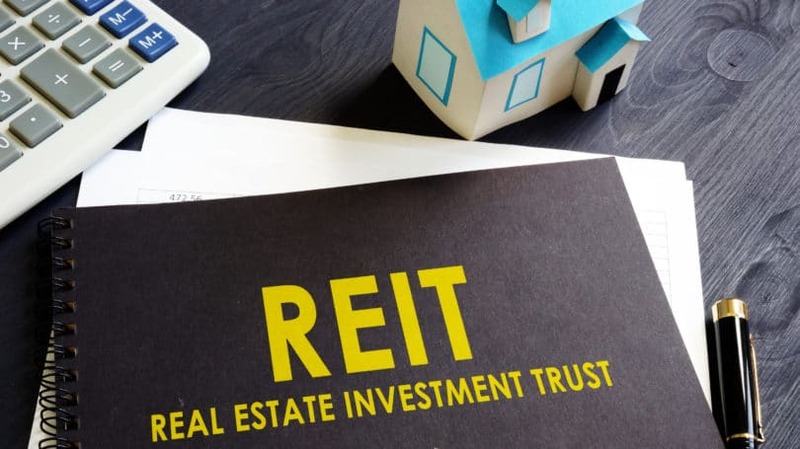 While REITs are traded on stock exchanges just like stocks or ETFs, they are actually companies that invest in real estate, or in real estate-related services (such as mortgage REITs). This way, investors can indirectly invest in real estate, without having to learn the fundamentals of flipping houses or becoming a landlord. Remember that real estate markets and stock markets often move independently of each other. Yes, the Great Recession saw both housing markets and stock markets crash, but it doesn’t always happen that way. By investing money in both real estate-related investments and in stock indexes, investors can add another layer of diversification to their portfolios. Similarly, investors can buy bonds through the stock market by buying funds that invest in bonds. For example, Vanguard’s Total Bond Market Index Fund (VBMFX) invests in roughly 70% U.S. government bonds and 30% U.S. corporate bonds. 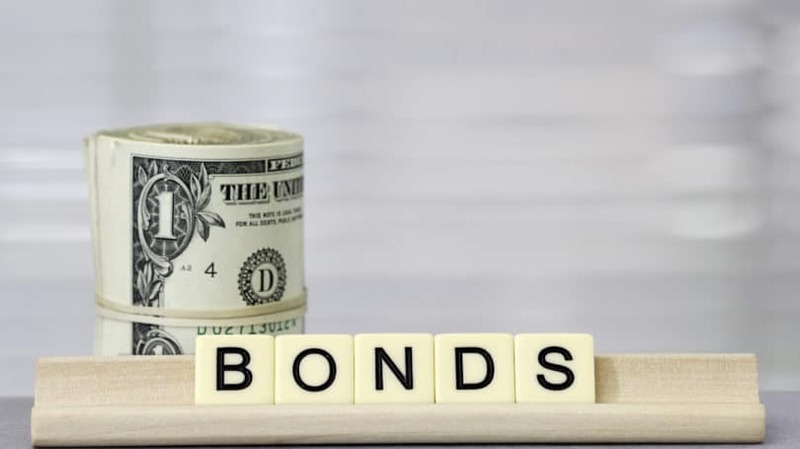 Bonds have a reputation of being low-risk, low-return, and can counterbalance an aggressive stock portfolio. Of course, you can choose to invest in high-risk, high-return bond funds if you like. As you approach retirement, consider bond funds as an option to help you mitigate sequence of returns risk. Buying an index fund that mimics the Russell 2000, such as the Vanguard Russell 2000 ETF (VTWO), is an investment. It effectively lets you buy shares in 2000 companies who are largely succeeding in growing and earning money. And you can look back over decades of history to validate your investment choice. Investing money in a penny stock issued by a company run out of a 19-year-old’s parents’ basement is speculation. There is no history of success and precious little to protect your investment from complete collapse. Learn the difference between investing and speculating early in your investing career. In short, investing involves a relatively stable, verifiable, and measurable asset, while speculating involves a high-risk gamble in exchange for the possibility of massive returns. For another example, consider two real estate investments. Buying a rental property that is currently leased to a stable tenant is investing because investors can inspect the property, compare its price to comparable properties, compare the current rent to nearby market rents, and forecast cash flow. Alternatively, buying a cheap piece of land with the hopes that it someday becomes extraordinarily valuable is speculation. There is nothing inherently wrong with speculating. Many early speculators who bought bitcoin or other cryptocurrencies made phenomenal amounts of money. 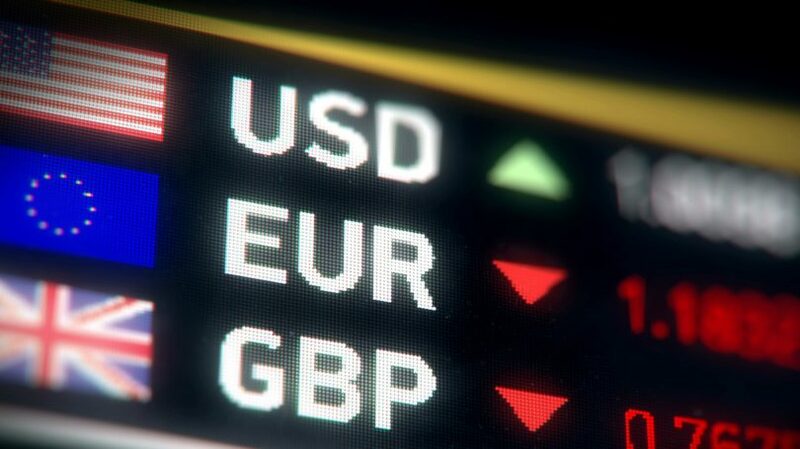 But if you want to manage risk, the key is to only speculate with money you’re prepared to lose. By all means, set aside 1%, 5%, or 10% of your portfolio for high-risk, speculative investments — assets that you buy “just for fun,” that may collapse or may skyrocket in value. Just make sure that if they do collapse, they won’t drag you down with them into financial ruin. When you buy a stock or fund, you can choose to reinvest dividends to help compound your investment gains. Reinvesting dividends, rather than letting the money pile up in cash in your brokerage account, also helps you avoid opportunity cost and losses from inflation. For that matter, it also helps you avoid spending it. Reinvesting dividends also serves as another form of dollar-cost averaging. 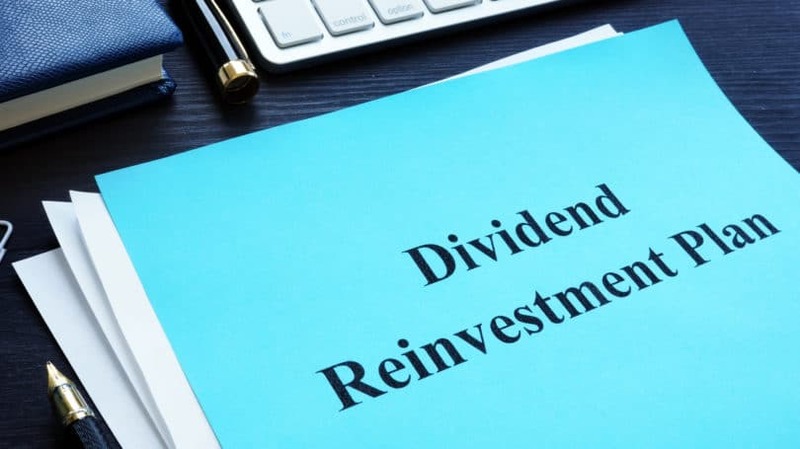 Whenever the dividends are issued, they automatically go right back into buying more shares in the fund — at whatever price the fund happens to be at that moment. Read up on some of the other benefits to reinvesting dividends here. Yes, I know I said not to try to time the market. And I stand by that. However, if you’re a nervous investor and start losing sleep over rumors of an upcoming crash, don’t feel obliged to leave your money in high-risk sectors or regions. Move money into defensive sectors, bonds, or precious metals, or for that matter, you can sit on large amounts of cash if you get spooked while equity prices are still relatively high. Just don’t panic and sell everything after the market has already crashed. The problem, of course, is that most investors only start panicking after the market drop is already well underway. If you have followed the other risk-mitigation tactics on this list, then you have invested in fundamentally sound funds that will recover. 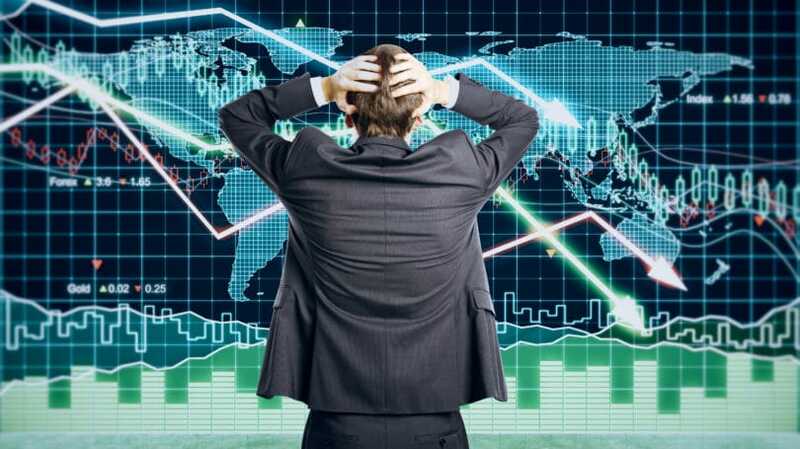 Where investors get into trouble is selling after the market crashes — selling low — then timidly waiting until a recovery is already well underway before buying again. In other words, they are buying high. When everyone around you is panicking, that’s the time to buy, not sell. Hold the course and keep buying if you’re dollar-cost averaging, to help lower your average per-share basis price. Unless you are near or in retirement, think of your diversified long-term investments as exactly that: long-term. The exception to this rule is with your speculative investments; if you see the writing on the wall with these, then sell and write off the losses. And remember, your speculations are with “fun money,” and won’t ruin you no matter what happens. The risk-reducing investing strategies laid out above are intentionally simple enough for anyone to do without expert help. But that doesn’t mean you should never seek out expert advice. Everyone’s financial goals and circumstances are different. 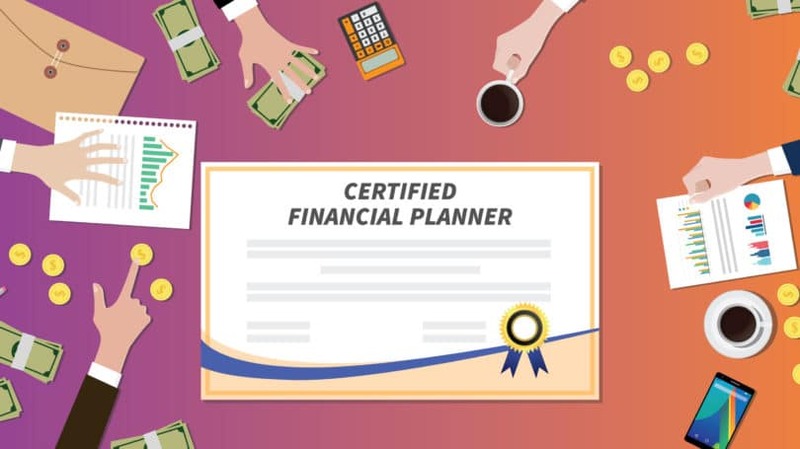 Once in a while, it’s useful to spend an hour or two sitting down with a certified financial planner to get feedback, bounce ideas around, and make sure you’re on the right course. While many financial planners will try to sell you on an ongoing service package, start with simply paying them by the hour for a single meeting. For more granular advice on what specifically to invest in, hire an investment advisor by the hour. Likewise, watch out for sales pitches for their ongoing services by making it clear going into the meeting that you want a one-time session for personalized advice. Yes, equities are volatile. Yes, volatility involves risk, and sometimes equity markets crash. But the far greater risk is not investing in them at all. In a review of market data from 1928 through the end of 2017, NYU showcased how $100 invested in 1928 in the S&P 500, in three-month Treasury bills, or in 10-year Treasury bonds would have grown. Over that 90-year span, $100 invested in Treasury bills would have grown to $2,015.63, and to $7,309.87 if invested in Treasury bonds. Invested in the S&P 500, it would have grown to $399,885.98. 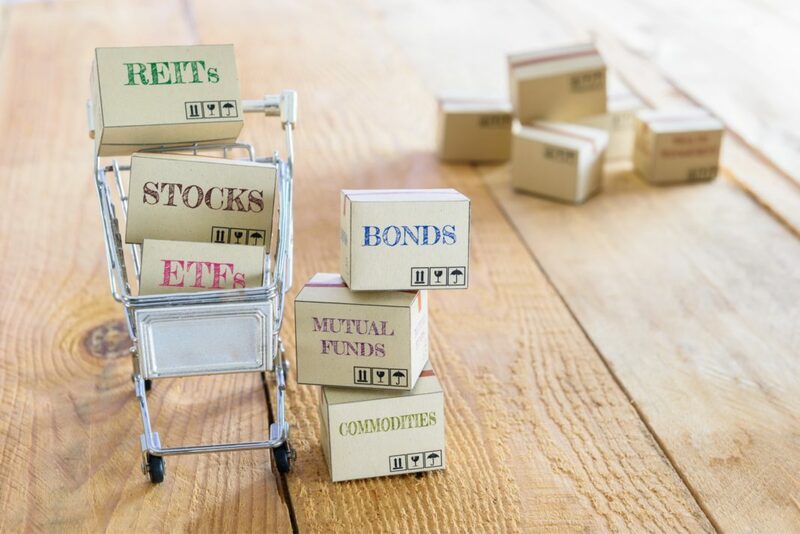 One final way of reducing risk is by investing through tax-advantaged retirement accounts, such as IRAs or 401(k)s. You earn an immediate return on your investments by avoiding income taxes on the money you invest. Even if the market dips right after you invest, and you suffer a 10% loss that year, you may save 25% to 40% in income taxes on that money. Use the strategies above to reduce risk, and the short-term volatility of stocks starts feeling like waves gently rocking your financial boat — all while the tide rises and lifts it up over the long term. What strategies have you used in your own stock portfolio to reduce risk?